A Herndon woman was charged with aggravated assault after she allegedly stabbed a teenager, Herndon Police said. 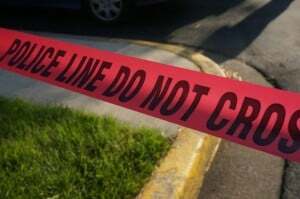 Herndon Police said the juvenile male victim was in the 1100 block of Elden Street on May 13 about 8:30 p.m. when he reported being stabbed in the shoulder by a person known to him. The boy received medical treatment at the scene for non-life threatening injuries and was released to a parent. Jacqueline Deloise Escobar, 51, was arrested and transported to the Fairfax County Adult Detention Center, police said. She was served with a warrant for Felony Aggravated Assault and is being held without bond.